“The Truth” 2,000 HP eGarage Camaro built by the Roadster Shop blends exotic supercar styling with brute power and performance. 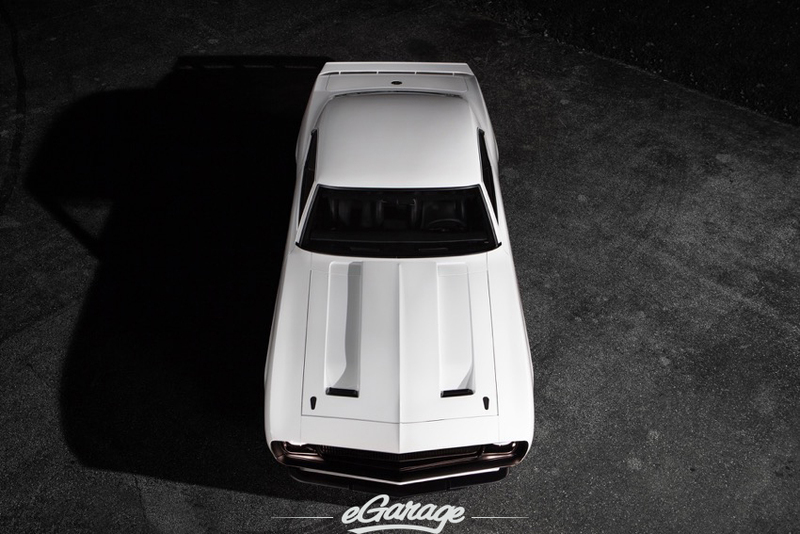 The extensively modified body has transformed the iconic 1969 Camaro into a modern supercar. Every area of the build features 1-off handmade or machined components with styling cues on par with today’s high end exotics. Performance handling is provided by a custom built Roadster Shop chassis featuring Penske triple adjustable coilovers and Brembo GT brakes. Nelson Racing Engines built the heart of this monster with a twin turbo 572 big block Chevy engine that produces over 2,000 HP. The engine features a NRE billet “Alien” intake and twin NRE mirror image 88mm turbos. The Truth aggressively sits on 19 and 20 inch HRE wheels wrapped in Michelin Super Sport rubber. The car will be on display at the SEMA show in the Main Hall at the Atech Motorsports booth # 22531.